Royal Caribbean has commited itself to providing its guests with 100% cage-free eggs and sourcing all of its pork from gestation-free crates by 2022. The effort builds on an initiative that first introduced cage-free eggs into its supply chain in 2010. 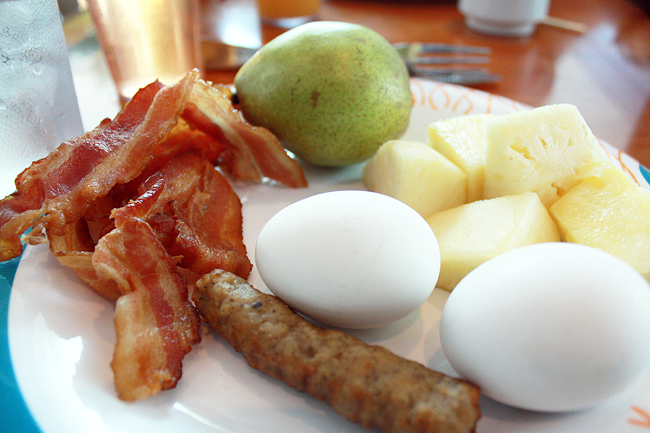 “By moving to 100 percent cage-free eggs we are not only delivering quality food, but acting responsibly when it comes to the welfare of animals in the food system,” said Mike Jones, Vice President, Supply Chain, Royal Caribbean Cruises Ltd.
Royal Caribbean had promised to provide sustainably sourced food for guests including sourcing pork from gestation crate free suppliers.